KWFinder Review 2019: How to Use KWFinder effectively? 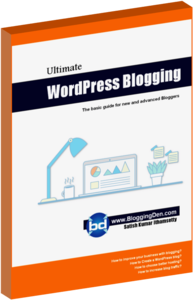 Keyword Research is the primary task for every blogger and online marketer. If you do the research in a proper way, we will get awesome results for every small business owners online. This article on KWFinder Review 2019 gives the basic idea. Here I am introducing the best Keyword Research tool to bring your blog to the next level. The tool is KWFinder online keyword research tool. Before going to learn How to use KWFinder tool, you should know about the tool basics. How to use KWFinder Keyword Research Tool? How to use KWFinder tool effectively? How to Activate KWFinder special discount? 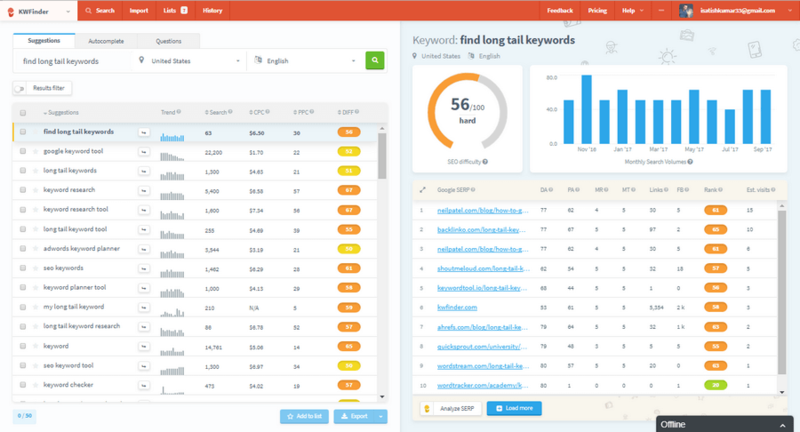 KWFinder is an excellent Keyword Research tool to find and get hundreds of long tail keywords with low SEO difficulty and high search volumes. The KW finder tool is designed with a user-friendly interface with great metrics. The metrics are very helpful to improve your SEO efforts. Better to create one free account to get an additional advantage like Datastore and reuse. KWFinder is a best free keywords research tool for better Search engine optimization (SEO). The Keyword Finder is a web-based application. The tool comes with more additional benefits. You can access this service from anywhere in the world. Because it is an online service. KWFinder provides a few free daily searches with limitations. But it is one of the best and cheapest premium keyword research tool in the online market. It helps you to find long tail keywords with low SEO difficulty. It gives effective results for your Keyword research process. Questions feature: It gives the question-based keywords for a better understanding of your niche. The keyword suggestion feature gives the exact volume of the seed keyword than the Google Keyword Planner. But this feature gives the exact volume to understand the exact search volume of your niches. In this feature, the Mangools team integrated the Google API feature. It helps you to understand the most searched keywords for any niche. After using this feature, you will get more ideas for your main keyword. To use this feature, just enter your keyword, and select autocomplete feature then click on the Search button, then see the magic. 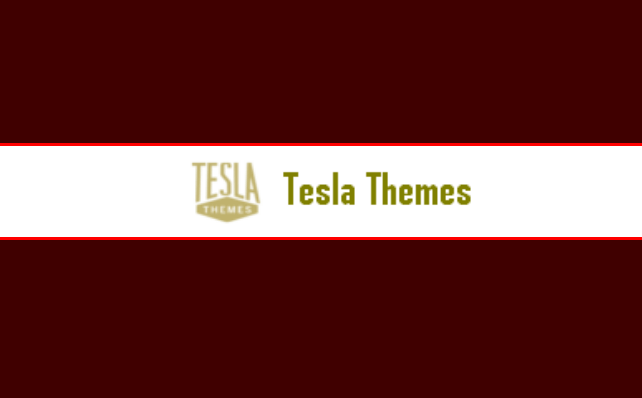 Simply, it gives great auto-complete keyword ideas. You can use these keywords as LSI keywords within your article by sprinkling. This feature generates more keywords in a question-based format. It helps you to understand the people queries and what they are asking related to your main keyword. Pro Tip: I suggest you pick the keywords which are having a minimum of 3 words and with at least 2000 search volumes per month. KWFinder is very easy to use. Its user-friendly interface gives a better understanding possibility. They provided the instant help you to rank your keyword fast on Google search results. Now we will follow the steps on How to use KWinder tool. In the home page, you will get three major tabs. They are Suggestions, Autocomplete, and Questions. Enter the primary keyword in Suggestions box and click Find keywords button. If you are doing local business or targeting a specific Geo location use other fields like Location and language before hitting the ‘Find Keywords’ button. For this step by step picture guide, I choose “United States” for location field and I have used the default language field. Tip: If you are a local business or targeting specific Geo region, you should specify the location and language fields instead of using default values. These features will help you to narrow your targeting to a region or even city level worldwide and in more than 40 languages. After a few seconds of the processing, you will get the keywords data. In the result, five different metrics will be given. They are ‘Trend’, ‘Search’, ‘CPC’, ‘PPC’, and ‘Keyword Difficulty’. 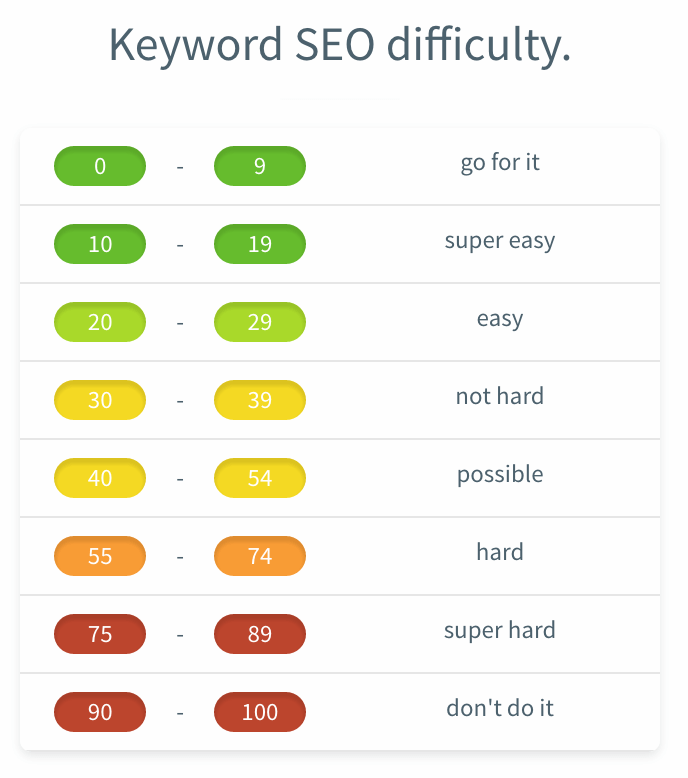 Tip: The SEO difficulty (DIFF) of a keyword is indicated on a scale from 0 to 100. This shows the keyword difficulty based on a comparison of keywords on a market-wide basis. Keep in mind that your unique difficulty may vary. As it depends on your SEO skills, it’s quite individual. Trend: The tools display keyword search trends for the past 12 months by showing a little graph. Search: This column represents the average monthly search volume (exact match) of the keyword from the last twelve months. CPC: This column data gives the average cost per click on the listed keywords. This CPC data, providing based on Google’s Adwords data. Keyword Difficulty (KD): Keyword difficulty is nothing but SEO difficulty of the keyword. The KWFinder calculates the KD instantly. 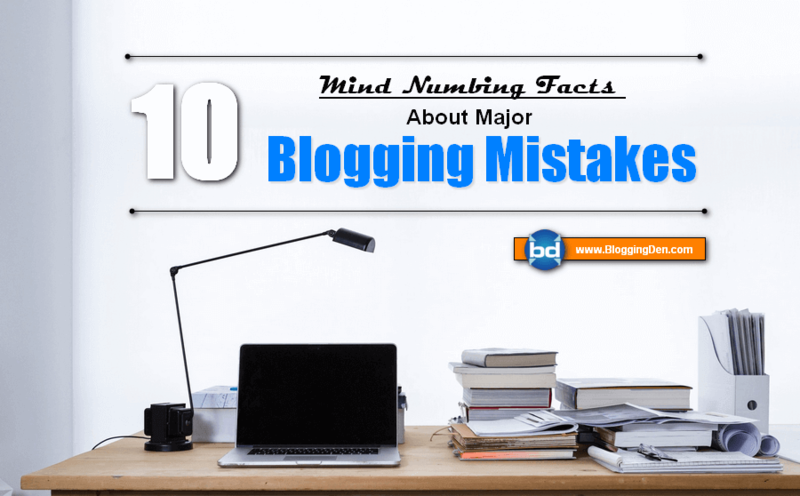 The calculation based on the SEO stats (DA, PA, MozRank, MozTrust and social signals) of sites or blogs appearing on the first page of Google. It indicates the difficulty of the keyword or keywords phrases. The keyword score range ‘0’ to ‘100’. Higher the value the ranking is difficult. If the value is low, the keyword is easier to rank in search engine. How is the SEO difficulty calculated? At the beginning, we calculate SEO rank for every page on the first page of Google SERP. This rank is mainly based on the quality of the link profile and Moz metrics. Moreover, we take into consideration Domain Authority (Moz) of each page. Once we have the rank of every page, we generate an average of these, which represents the SEO difficulty. 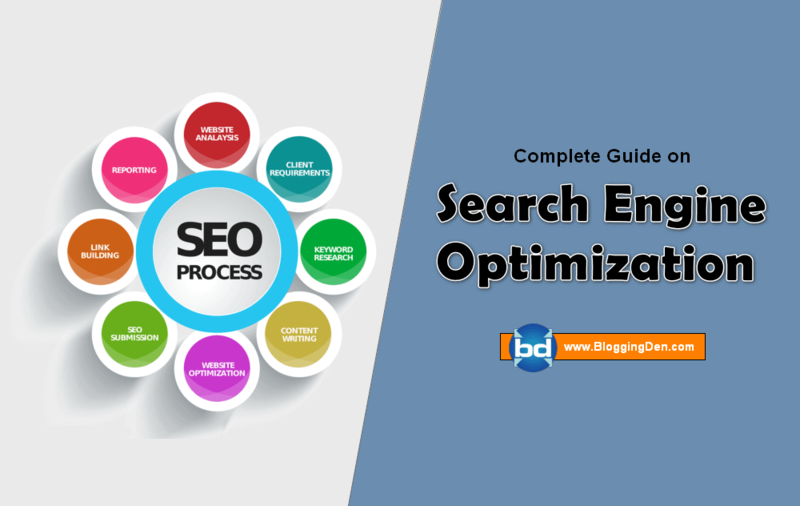 You’ll find detailed info in an article dedicated to the SEO difficulty. To explain this, I am using this keyword “how to find long tail keywords” explains this step by step picture guide. This tool is showing 90 searches, $5.58 CPC 29 PPC and 52 Difficulty Score. Here Keyword Difficulty score is 52 for this keyword. This means that keyword started searching for a few months. Before going to the next analysis, check the Keyword Difficulty score table to understand the keywords selection from the result page. Check the Keyword difficulty value with the above table, and then go to work. If your keyword KD is below 30, it is good. Do not go for more than 55. It is very hard to rank it. Simply it is waste of time. 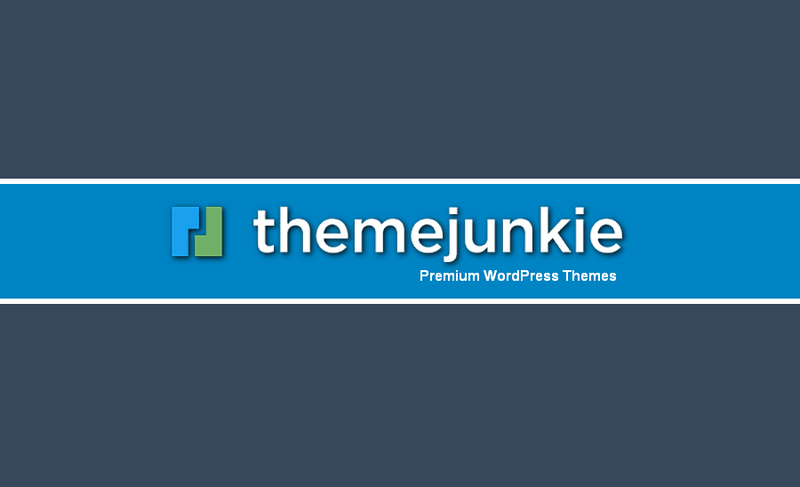 If you want organic traffic to your blog, KWFinder is the best choice. By using KWFinder, you will find long tail keywords list easily. You need to find low competitive long tail keywords with high search volume. To find the best keywords for your search engine ranking, use the filter option on the KWFinder result page. When comparing the other keyword research tool in the industry, the KWFinder is cheap and effective. 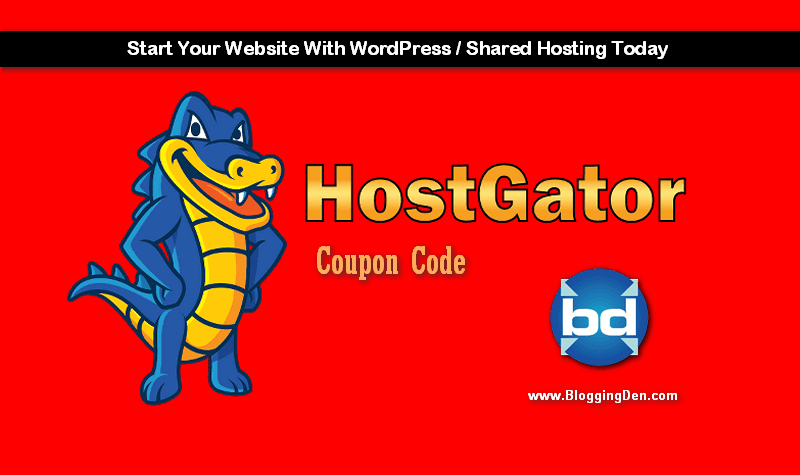 They are providing attractive plans and prices for bloggers and marketers. KWFinder is one of the services from Mangools team. They are providing this tool along with SERP checker, SERPWatcher, and Link miner tools with their single attractive plans. They are providing three attractive plans – Basic, Premium, and Agency plans. The mangools team giving 40% money-saving option for new customers. Save money and start using this awesome tool. 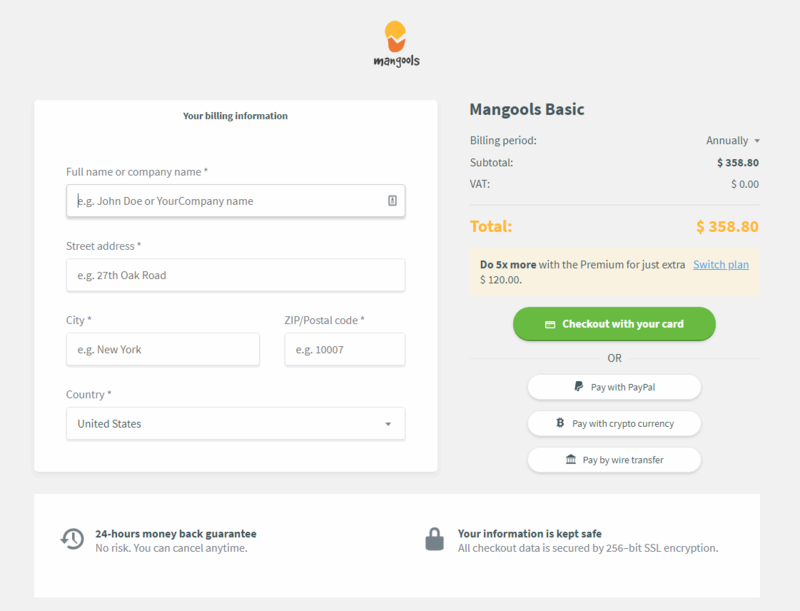 The KWFinder team Mangools are providing 40% discount for their new users. To grab this offer, click and register your free / premium account immediately. The KWFinder is giving a special discount for new users up to 40%. To grab this discount follow these steps. Step 2: Choose the best plan to fit your needs and click on the Subscribe button. Here is the Monthly and Annual plans. 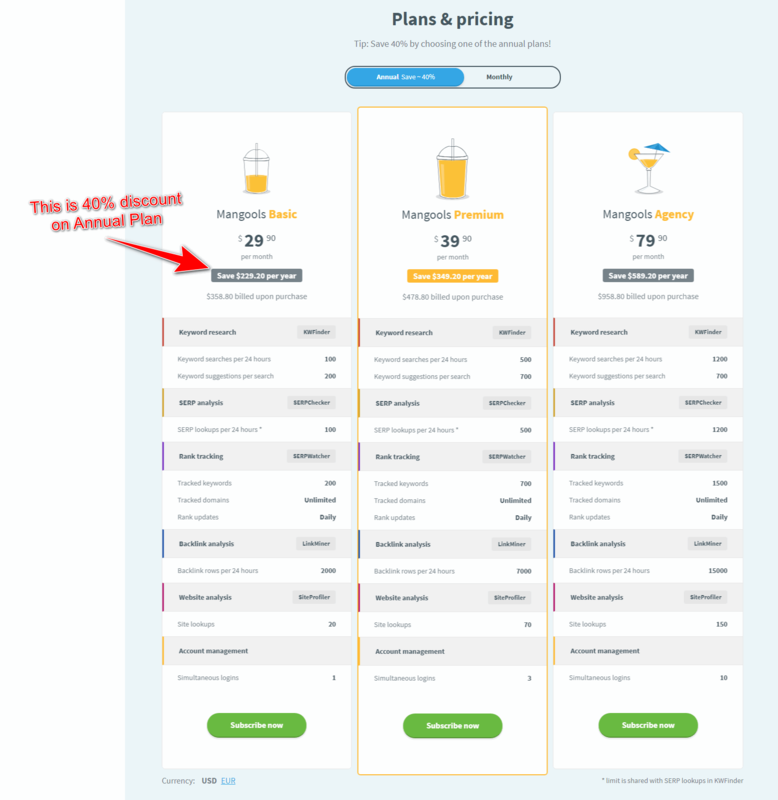 In the Basic plan, the monthly price is $49 but in the annual plan you can save up to 40%. The annual monthly price is $29.90. Step 3: Now here is the billing information form, just enter your details and choose a payment option. Here you can pay the money via credit card, PayPal, crypto-currency payment and Wire transfer method. In the last step enter the payment details and complete the process. KWFinder is one of the best Keyword research tool and the low competition keywords finder. Its user interface and keyword difficulty score analysis are good. KWFinder is a free tool with limited features like limited searches per day. Register with your email ID and get some additional searches. There is a premium service is also available. If you feel good with the tool, better to upgrade to the premium version at any time. This KWFinder Review 2019 gives the basic idea. Personally, I recommend this tool as the best free keywords research tool for Search Engine Optimization. Share this guide on “How to use KWFinder tool for better SEO?” with your friends on social media like Facebook, Twitter and Google plus. 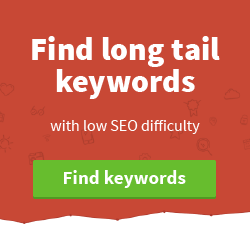 How to find long tail keywords from Google Keyword Planner? Choose the best Keyword Research Tool that helps you start easy, build fast, and grow strong! Article Title: How to use KWFinder to get Awesome Keywords? Great Post sir. Can you please tell me what plugin are you using it highlight the content with different colors. I’m dying to make this kind of appealing post. This is a full tutorial of KWFinder tool. KWFinder tool is one of the best and most used tools to research keyword. 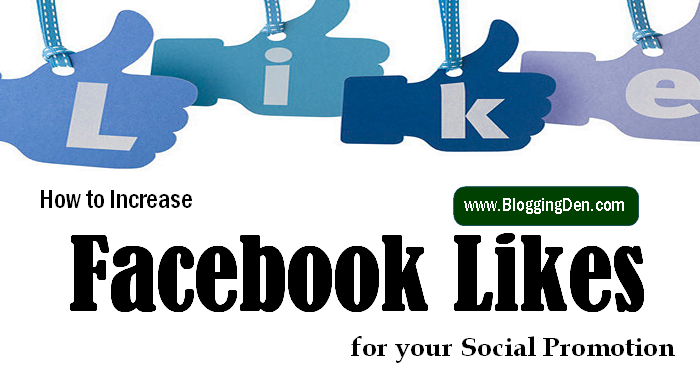 The step by step method you have explained is very nice and easy to understand. Great to know its huge advantages. The plans and pricing look good and amazed to know that it provides 40% discount to their new users. Another one of the best in class keyword finder tool over here. KWfinder looks very promising and indeed it is one of the most recommended keyword tools by the pro bloggers. Getting our desired keyword looks pretty easy over here, even we want to get it if we are doing it for the local markets. The analysis they provide for the keyword and what will their results is very cool.